We are renowned as the most popular enterprises in PVC Molded Components for Automobile Industry offering a high quality Molded Component. Reckoned for their excellent finish, longer life, durability and reliability, our offered molded components are manufactured with high grade raw material and modern technologies. Owing vast expertise in this domain we have been able to manufacture and export a optimum range of PVC Molded Components for Automobile Industry to our prestigious client. These products are highly praised for its unique attributes and available at market competitive price keeping in mind requirements of our valuable clients. 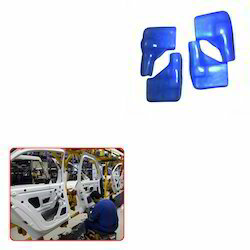 Looking for PVC Molded Components for Automobile Industry ?